How does a woman rebuild her life after her husband kills their children? 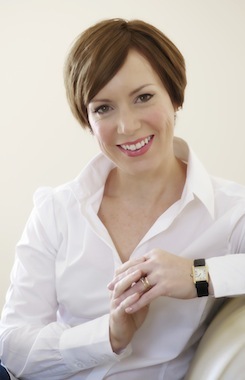 Denise Williams has endured every mother's worst nightmare. Her husband Steve Wilson murdered their sons, Bret, eight, and seven-year-old Brad Lee, in an act of despicable revenge hours after Denise insisted their marriage was finally over. The horrific crime shocked the nation. And it begged the questions: What drives a father to murder his own children? And how does a mother pick up the pieces of her life after such unthinkable loss and trauma? In her harrowing yet inspiring memoir, Denise Williams details how a miserable childhood drove her into the arms of Steve Wilson, a widower more than twice her age. Vulnerable and desperate for a stable family life, she was pregnant, married and a stepmother-of-two by the age of 16. By 17 she had given birth to her second son. Denise endured weekly beatings at the hands of her husband, who made his eldest son join in the attacks. Steve's obsession with his late wife, who had died only months before marrying Denise, saw him force Denise to eat her ashes. And despite leaving for women's refuges, Denise always returned for the sake of her boys. Everything she did was for the love of her boys. But when Steve forced Denise into prostitution, a job she detested, Denise finally fled her home in Birmingham in the dead of the night. Steve had fallen asleep in a drunken stupor on the floor of Bret and Brad Lee's bedroom so, to save waking him and facing yet another merciless beating, Denise left her little boys behind. It was a snap decision she would regret for the rest of her life. For hours later, Steve called Denise and said: "I have killed the kids". He had driven his young sons to a secluded spot and stabbed them to death in his car. Denise relives, in heartbreaking detail, the police manhunt and her agonising wait before hearing the worst news imaginable. 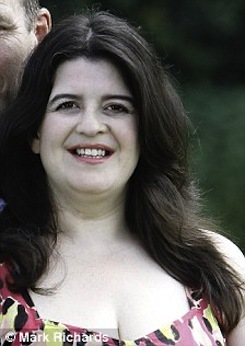 At the murder trial, Steve accused Denise of arranging her sons' killings. A jury took under one hour to see through his lies and sentenced Steve to two life sentences. Less than a week later he was found hanged in his prison cell. Denise has received no counselling throughout her ordeal. Instead, the love of a good man and incredible inner strength saved her from the brink of suicide and helps her cope with everyday life today. Now happily married with three young children, Denise tells her story as a tribute to the beautiful sons taken by the man who helped create them but did not deserve them. 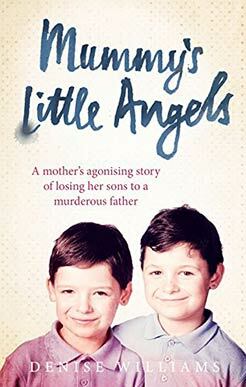 Congratulations to Denise Williams and Julie McCaffrey whose Mummy’s Little Angels: A mother’s agonising story of losing her sons to a murderous father now has over 100 5* star reviews on Amazon.